E-cigarettes have become quite popular in the recent years. The practice of using an e-cigarette is known as "vaping". More and more people are now turning towards this practice in an effort to quit smoking. While it is becoming popular, many people are still unaware of how effective e-cigarettes are or how to use a vape pen. Some even ask if it is better to smoke an electronic cigarette than smoking tobacco. Unfortunately, there isn't enough research done on the effects of e-cigarettes. Still, that has not kept e-cigarettes from becoming a billion-dollar industry. Interestingly, where there are people who have switched to e-cigarettes in an effort to get a low dose of nicotine to quit smoking, there are teens who have actually started smoking tobacco after starting with e-cigarettes. So, is it good or bad? It all depends on your motives. They look similar to the real cigarettes. You inhale as you are smoking a real cigarette and its end glows while you do it. When you exhale, you do not puff out smoke. You puff out vapor instead. Every e-cigarette contains batter, a heating element, and a small cartridge filled with nicotine and flavorings. There are different brands though with different price tags. 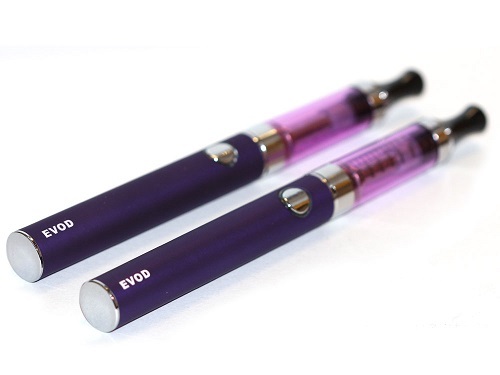 You can even find disposable e-cigarettes. Start by unscrewing the tank from the battery. Now, take off the mouthpiece. Make sure the tank is fully disconnected from the battery. Never try to fill it up while it is still connected to the battery. Take the e-liquid bottle and point its tip right towards the wall of the tank. Pour it in slowly while making sure no liquid gets into the center tube. Be sure to wear gloves and wash your hands immediately with soap and water if liquid touches your skin. It can be toxic, so seek immediate medical attention if you feel uncomfortable. Reconnect the mouthpiece with the tank after you have filled the flavor tank. Now, screw the tank back onto the battery. Screw it in tightly. To learn how to use a vape pen, you need to turn on the device by clicking the gem button. The vaping process will start only when you click the button five times and hold it down while drawing. Clicking it five times again will stop the vaping process and turn off the device. You have to click it five times to ensure that you do not turn it on accidentally. Simply pressing the button once will make the pen to flash if it is already turned on. In order to learn how to use a vape pen, you also need to know a bit about the right way to charge it. There is an LED light on your vape pen. If it flashes 10 times, it is time to charge your pen, which is quite like charging your phone. Start by disconnecting the battery from the tank (you will have to unscrew it). Simply connect your battery on to the charger. Wait until the indicator light on the battery is no longer on – this may take some time though. Are There Any Negative Effects of Vaping? As there is nicotine inside the cartridge, it is natural to feel addicted to it. Many people who stop using it experience withdrawal effects, including depression, irritability, anxiety, and restlessness. It is not safe for people with heart problems and may even cause damage to your arteries over time. While there are drawbacks of learning how to use a vape pen, there is evidence that vaping may be safer compared to regular cigarettes. The biggest difference is that e-cigarettes do not burn, so there is no smoke. It means that if you use a vape pen in public, you do not cause harm to others in your surroundings. Still, more research needs to be done in this area to correctly understand the long-term negative effects of e-cigarettes and the effects of secondhand exposure. You should not use a vape pen if you do not smoke already. You may end up becoming addicted to it. You can use it to quit smoking, but there are other FDA-approved methods like the nicotine gum or patch that you can try. There is evidence that those methods work. You may be better off using a vape pen if you are not planning to quit smoking. Still, it is a good idea to discuss the risks and benefits of vaping with your doctor. Smoking Before Surgery: Is It OK? What Is the Connection Between Smoking and Fertility? How Old Can You Vape? Pro and Con of Vaping: Should You Start Vaping?